Finding mobile slots for Android is easy. And to prove it, we've listed all the Android slots real money players can enjoy. Bonus: you can also play these mobile slots for free to try them out. Just because you want to play slots on phone or tablet doesn’t mean you should have to compromise on the quality of the casino games. However, that said, not all Android slot games are created equally, or for that matter, do all casino software treat Android phones and tablets fairly. This is why we always recommend you play Android casino slot games for free at the mobile casinos we’ve listed below, before you deposit and play slots for real money. So get inspired, find the Android mobile casinos you want, test their casino games, and place real money bets on some of the best Android slots for mobile we’ve found. Click here for a list of all mobile slots compatible with Android devices. Some work better than others but to make things easier the best mobile slots by provider are the first on the list. 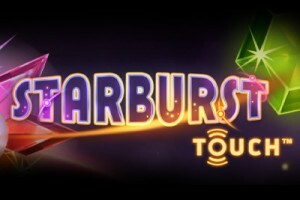 Click on the link next to the titles to see the complete list of Android mobile slots from each casino software provider. Playing slots on your Android phone or tablet, for free, can be fun. Sure you don’t get the thrill of that big slot win (usually just a little voice in the back of your head softly saying “imagine if that had been real cash”), but you get to see how the slots payout, which slots have bonus rounds and free spins, and more importantly, whether you’ll find it entertaining and exciting to play. On mobile nothing is more important. Because to add to that list, you need to know how the slot game is going to work on YOUR Android mobile phone or tablet. Are you using a Galaxy S4 or S3? Maybe a HTC One or a Google Nexus? Perhaps even an Amazon Kindle Fire or Samsung Galaxy Tab? From the size of your screen to how your device works, each will be different enough that not all the best Android slots will play the same. This is mostly true by software of course. So if one NetEnt slot game works on your smartphone or tablet, chances are they all will. Equally it’s good to play a few of the different casinos slot games from different game providers so you can get use to how they work, and maybe even discover some pet loves, hates and tricks. For example for NextGen games you’ll need to scroll down to force the slot to fit the whole screen and get rid of the url address bar, allowing the mobile video slot to breath and take over the screen. Another example is the older IGT slots, which look much nicer in portrait than landscape and are better played on your Android phone rather than your Android tablet. We could go on forever about each software little peculiarities. Maybe one day we will. For now, best to say, play mobile slots for fun before playing with real cash. Leo Vegas Casino: Europe’s friendliest casino get’s most new mobile slots weeks ahead of everyone else so you can test BetSoft, Microgaming, NetEnt, NextGen, Play’nGo and IGT slots before the rest. And get a nice little free spins no deposit bonus on top. Guts Casino: As soon as you click on a game you’ll get a little description and a choice; real play or fun play? Test out BetSoft, IGT, Microgaming, NetEnt, NextGen, Play’n Go and OMI Gaming here. Vera&John Casino: You’ll have to do your testing before logging in, but they provide an excellent array of classic and video slot games, namely BetSoft, IGT, NetEnt, NextGen and Play’n Go. Have you played the great range of Android slots for free? You now know what you like and don’t like? No? Your skipping ahead? Well, that’s ok, most of the Android casinos where you can place real money wagers on Android casino games will let you test them on free play first. So no need to worry, we specialise in the kind of slots on mobile you want to play. And by specialise, we mean the list above are slots games where you can only play with real money, no social apps or buying coins for the sake of buying coins with no real wins. Usually, the more money you have to play with, the more likely you are to get that lucky spin. It’s mathematical odds. As such, when you are ready to play on Android slots for real money, a first deposit casino bonus will help get you started and playing for that much longer. €£5 free mobile casino bonus to try every Android slot at mFortune – no wagering, keep what you win. Want to know more about Android mobile casinos? Click here for the full list.